British mortgage approvals rose slightly more than expected in April, but unsecured lending fell for the first time since November, official data shows. 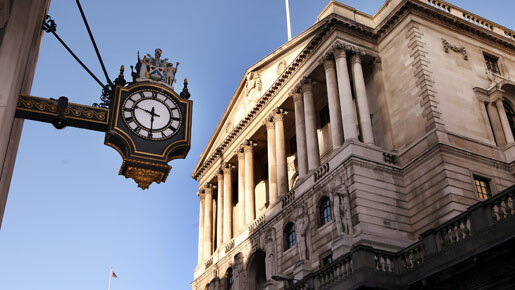 Separate figures from the Bank of England showed its preferred money supply gauge – M4 excluding intermediate other financial corporations – slowed sharply in April to 0.3 percent on the month. The BoE said mortgage approvals numbered 49,871 in April, up from 49,008 in March and the highest since December. That was slightly above analysts’ forecasts for a reading of 49,250, and suggests housing market activity may be starting to pick up again after a slowdown at the start of this year. Net mortgage lending, however, rose by less than expected, up £490m in April from £168m in March and below forecasts for a rise of £700m. And unsecured lending to consumers fell by £136m, confounding forecasts for a rise of £300m and the first net repayment of credit since November 2009. Headline M4 money supply growth was flat on the month in April, leaving the annual growth rate at 3.3 percent – the weakest since September 1999.